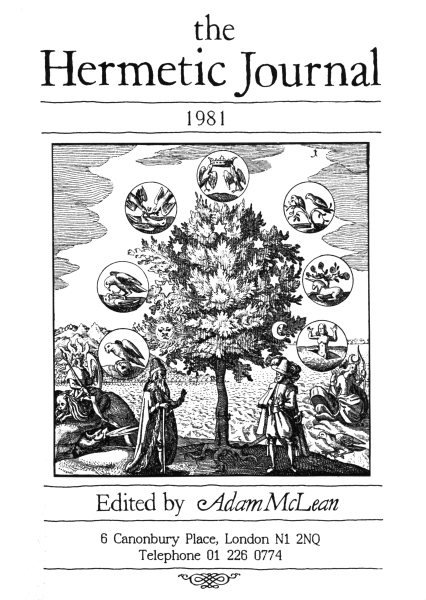 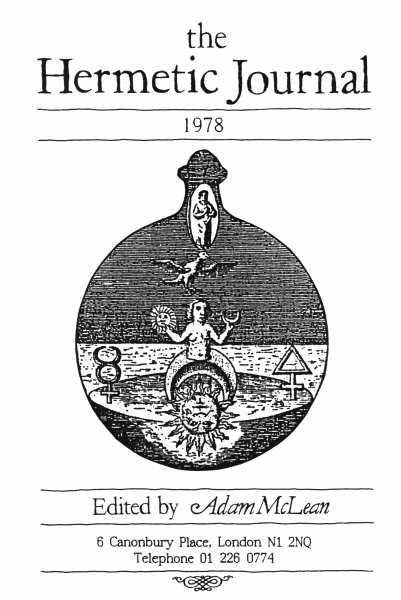 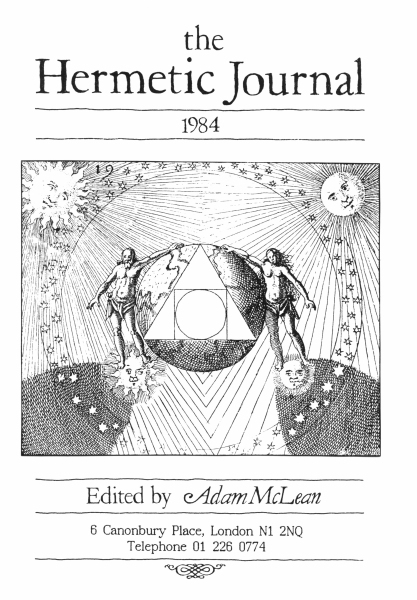 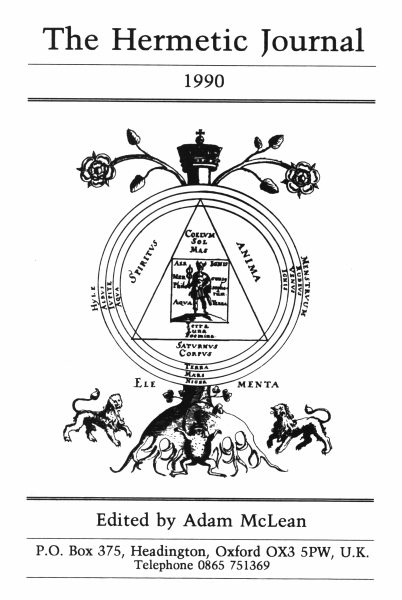 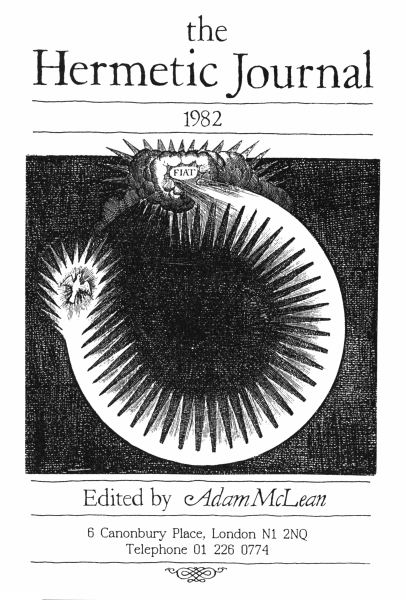 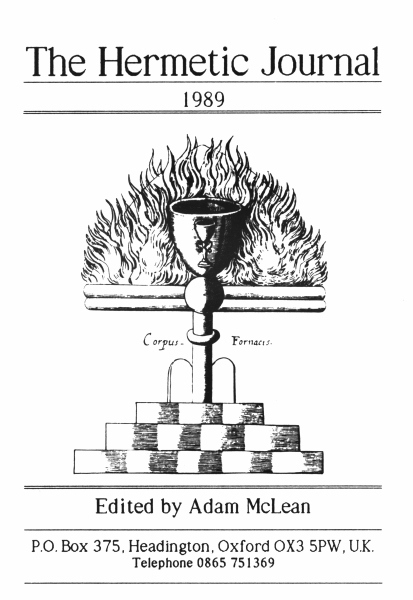 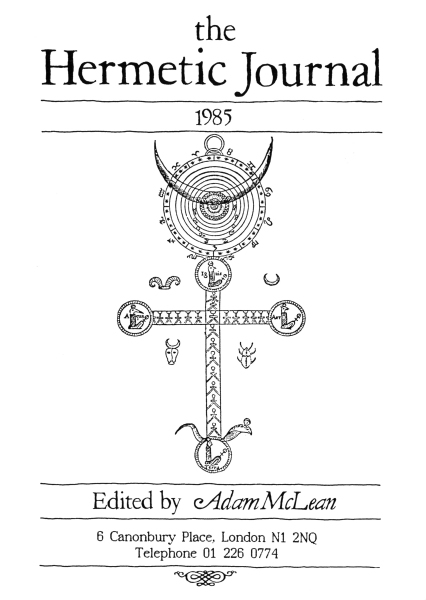 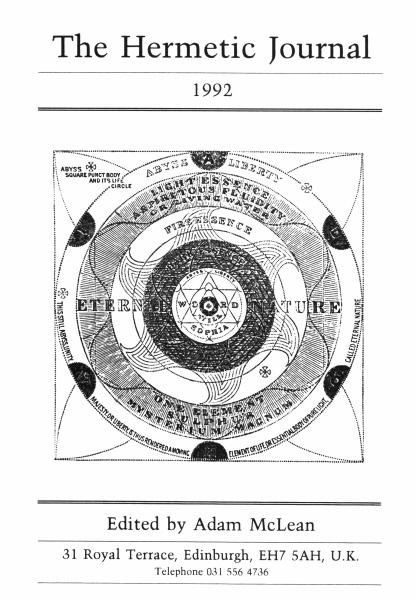 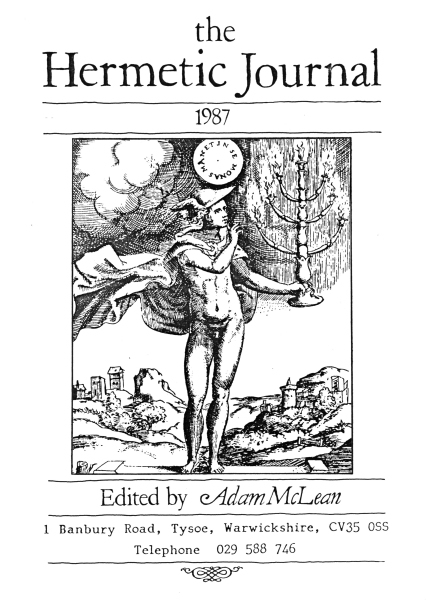 The Hermetic Journal was one of the more significant esoteric magazines of the late decades of the Twentieth century, focussing on alchemy, hermetic philosophy, Rosicrucianism, kabbalah and magical ideas. 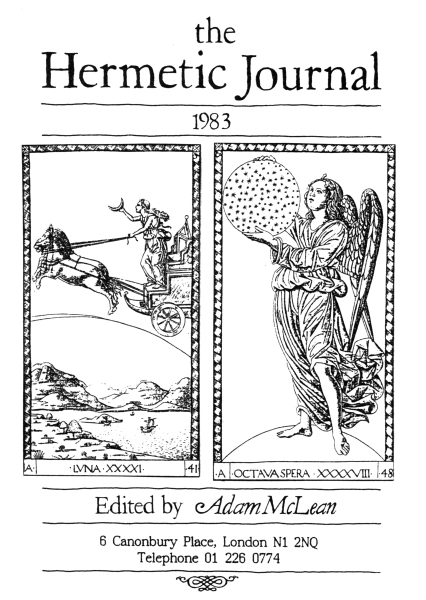 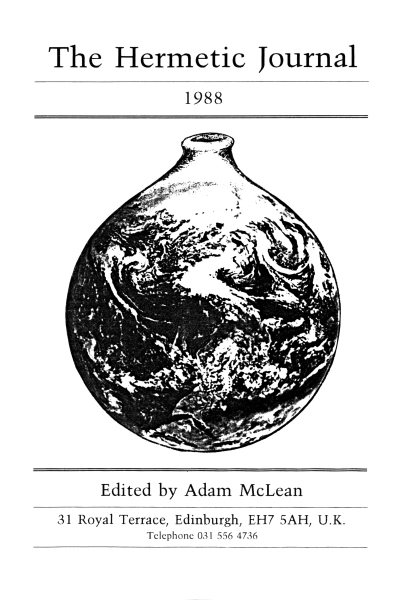 It was edited by Adam McLean and the first issue appeared in 1978 continuing until 1992. 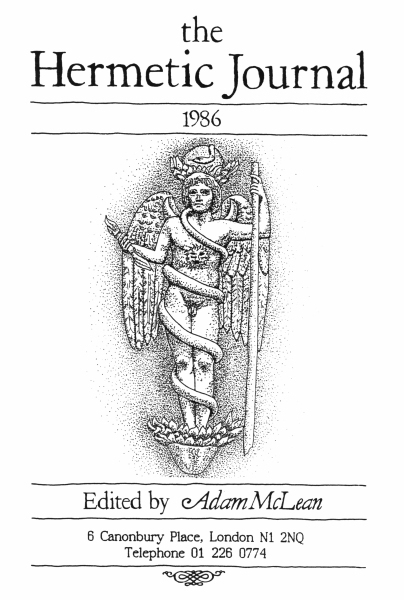 It has been out of print since the early 1990's. 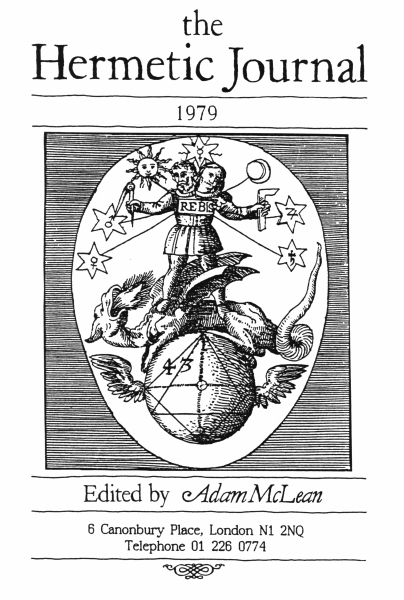 These are exact reprints scanned from the original artwork. 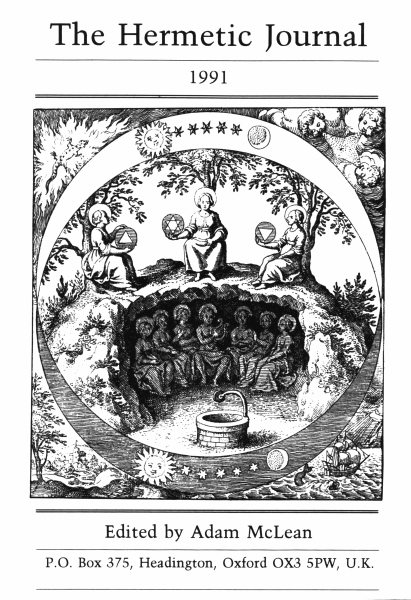 Click on each image to see more details and a preview. 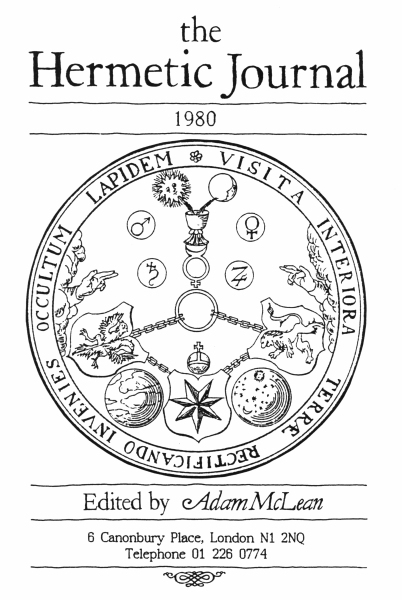 Full list of contents of the Hermetic Journal.